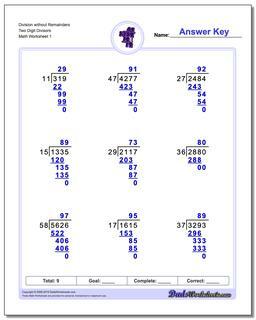 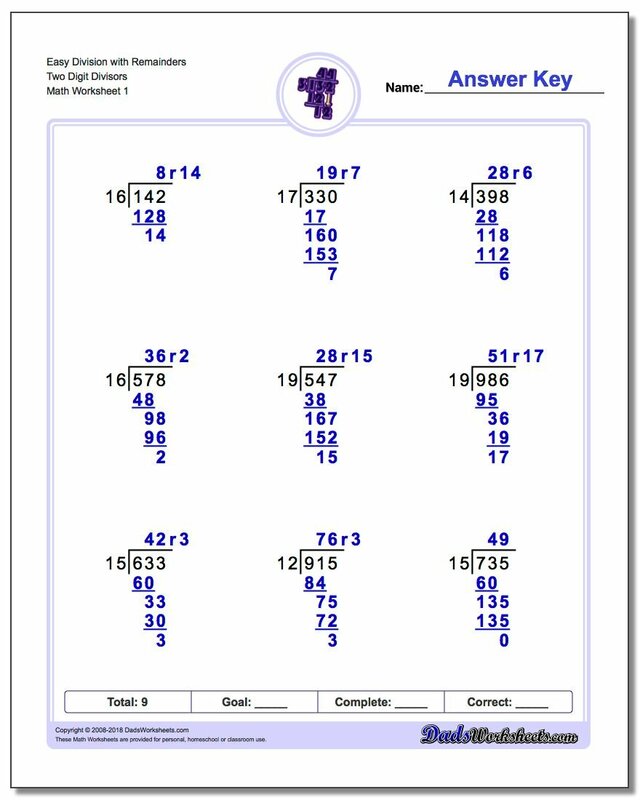 The prior sets of long division worksheets for the most part dealt with problems that had single digit divisors, which lend themselves easily to perform each step in the long division process. 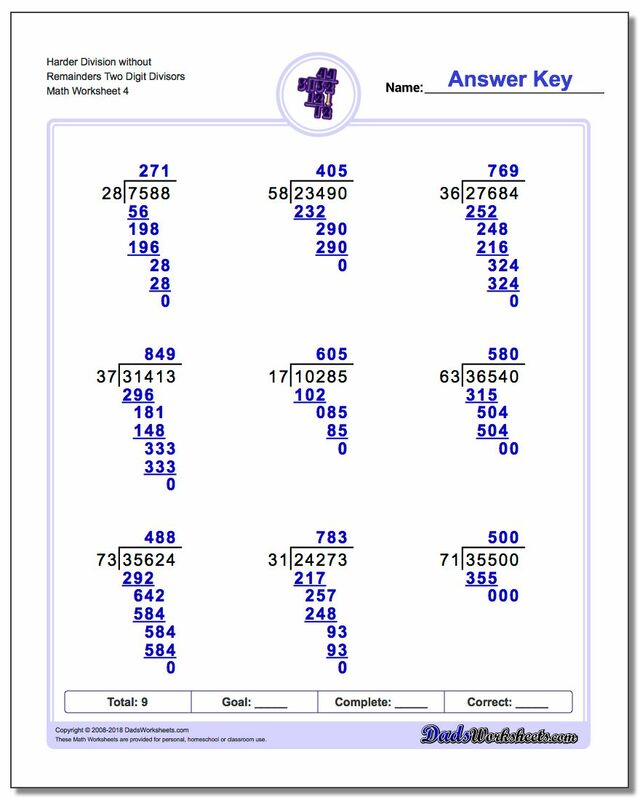 However, long division with two digit divisors (or greater) often requires either an intuition about what 'goes into' a larger component of the dividend or something of a trial and error approach to getting the right digit into the quotient. 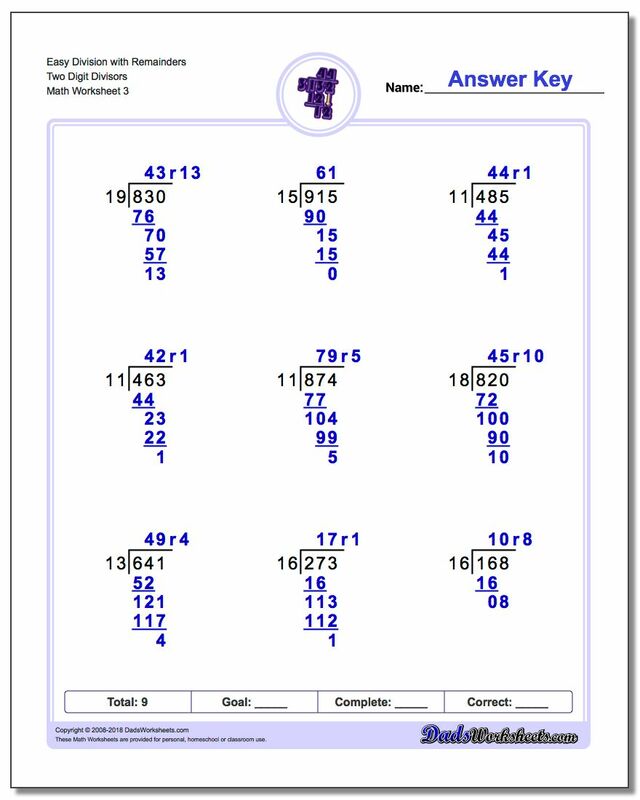 Like so many other parts of math, though, we know that practice makes perfect and these long division worksheets are here to help! 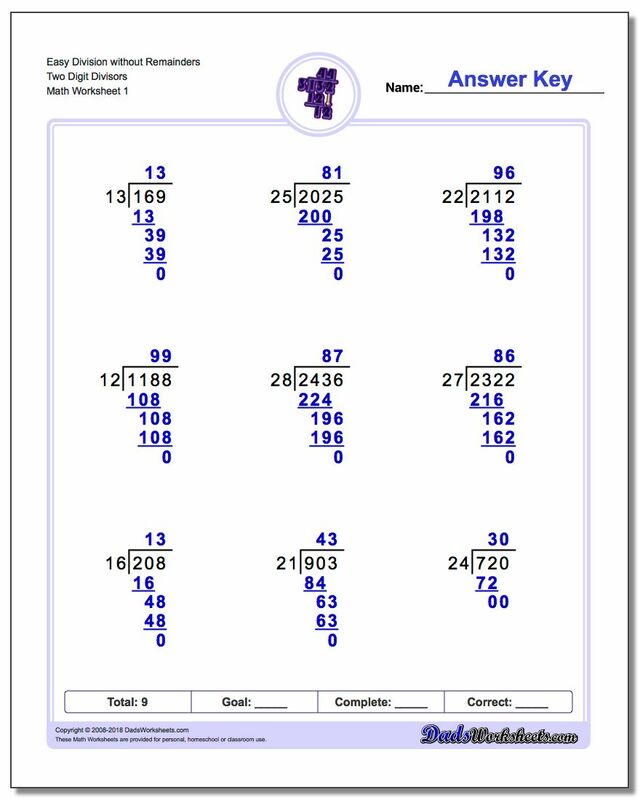 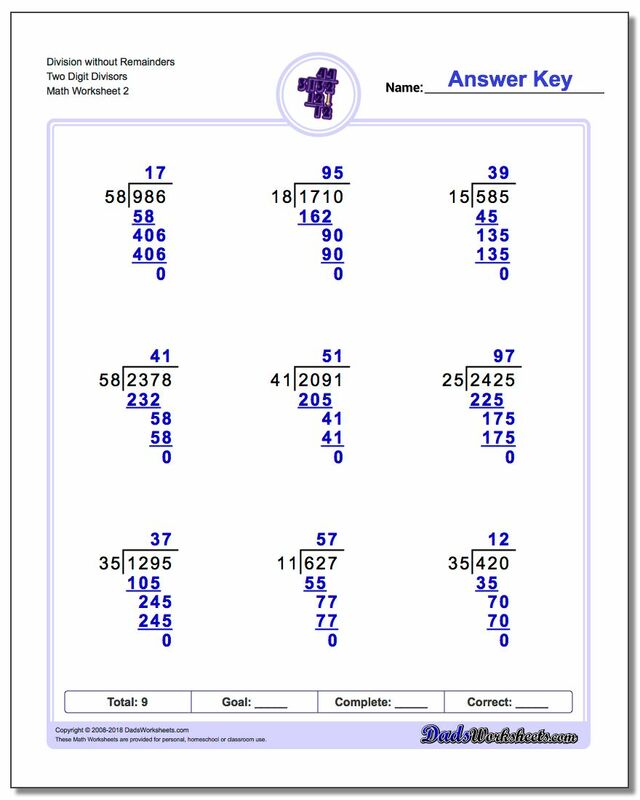 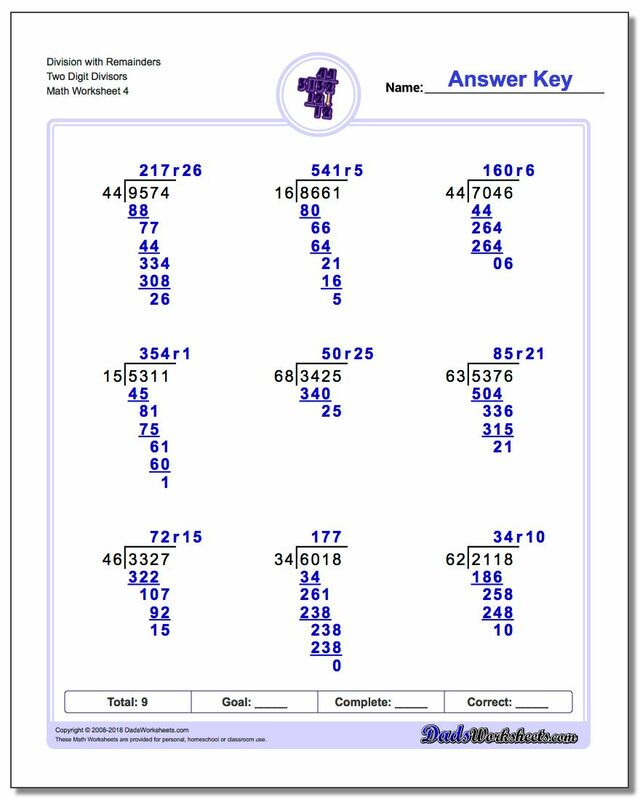 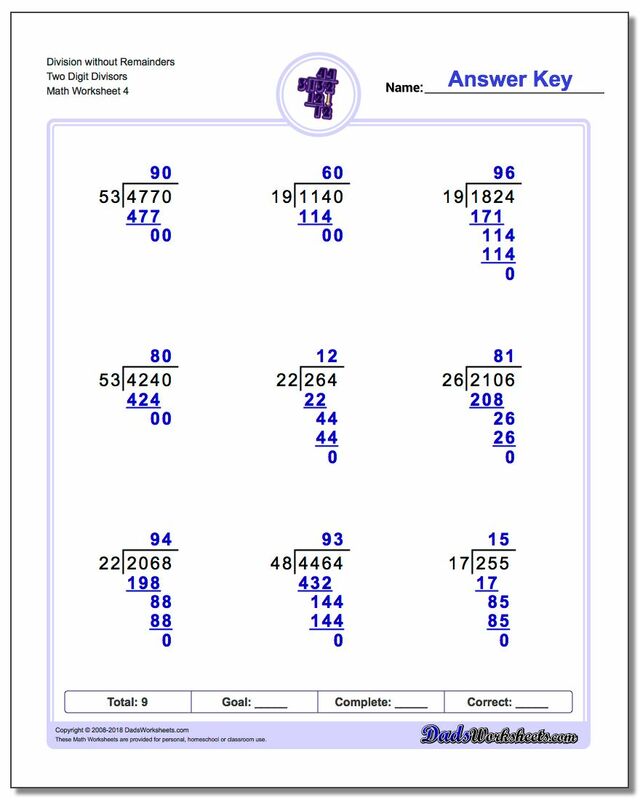 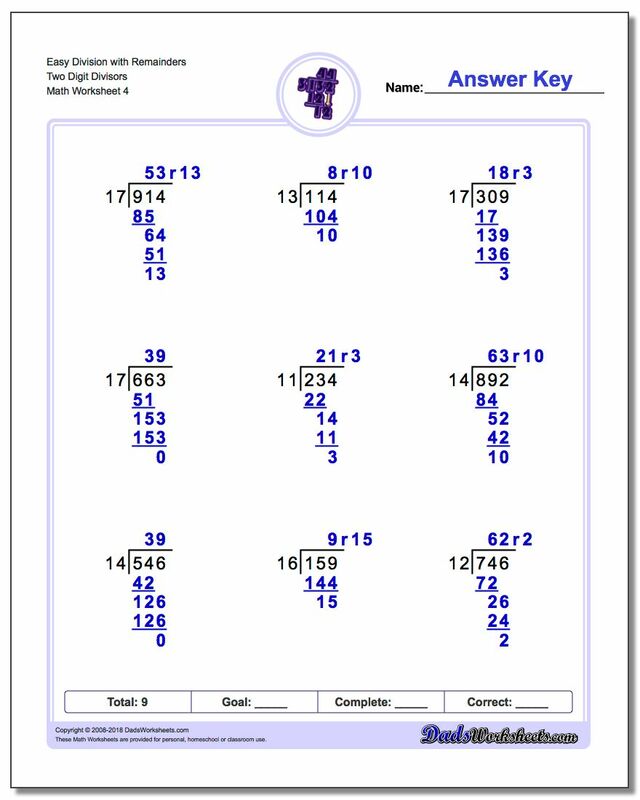 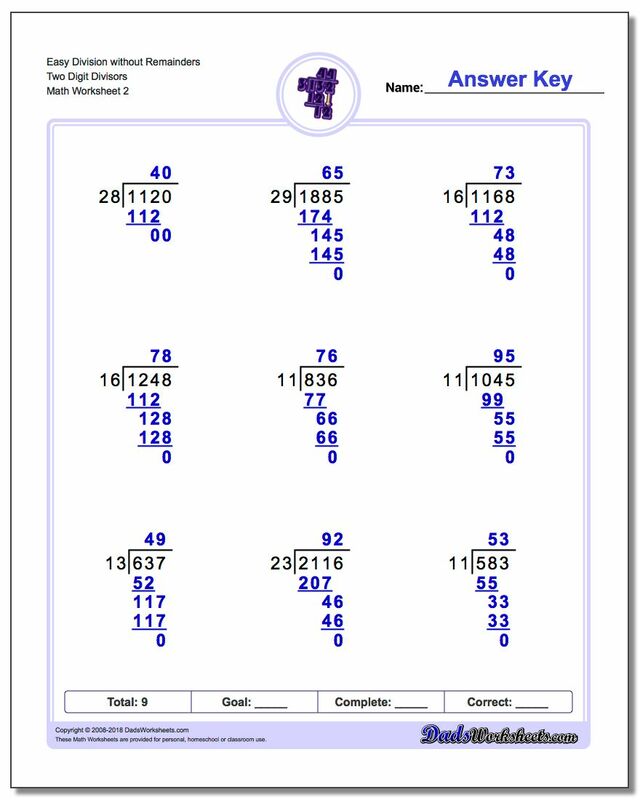 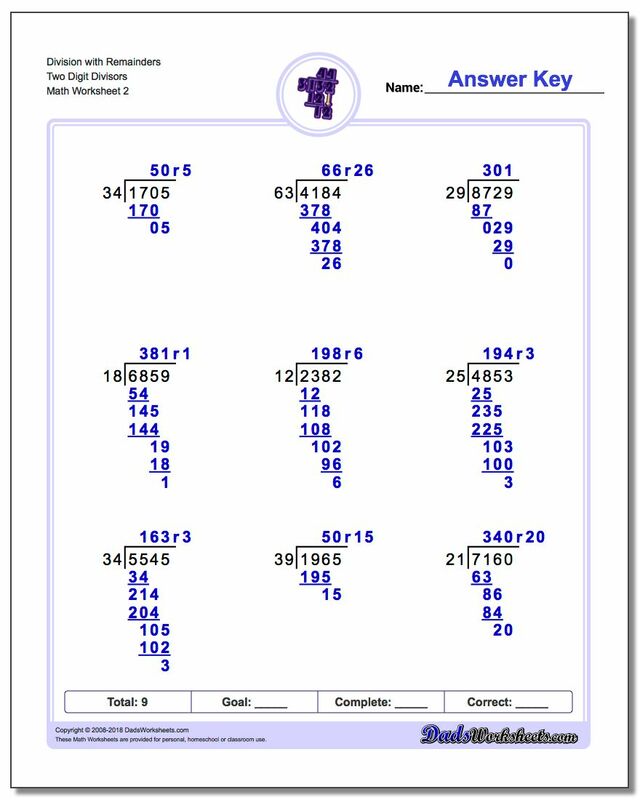 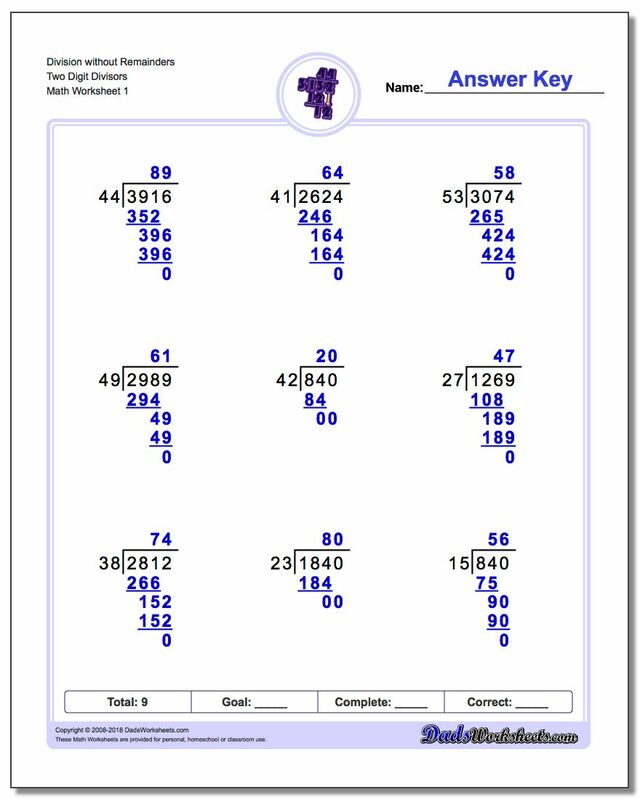 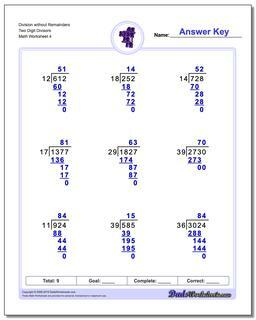 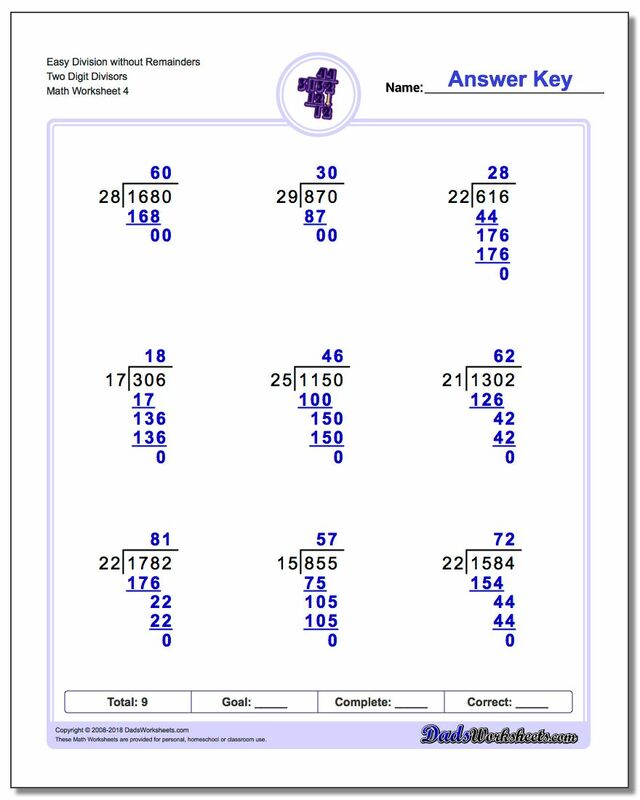 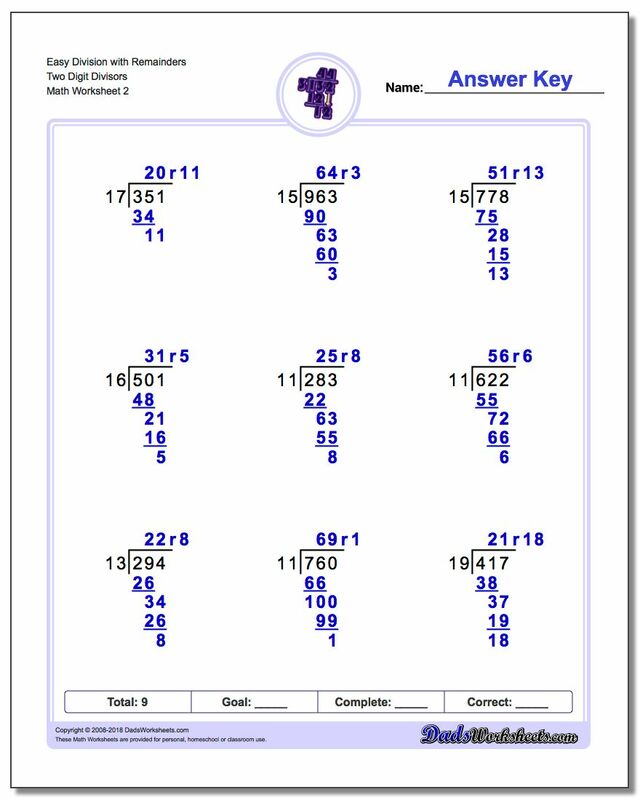 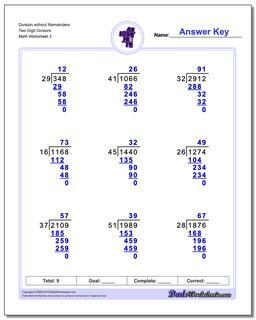 These worksheets are structured to begin with long division problems that have more obvious answers so that students build confidence and skills with multiple digit division. 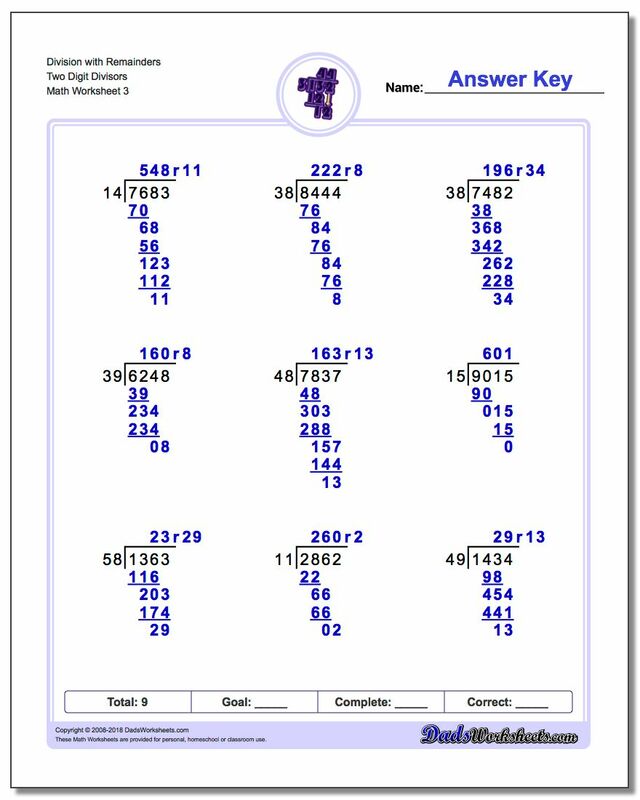 Subsequent sets have long division problems with more complex divisors that require more thought to solve.